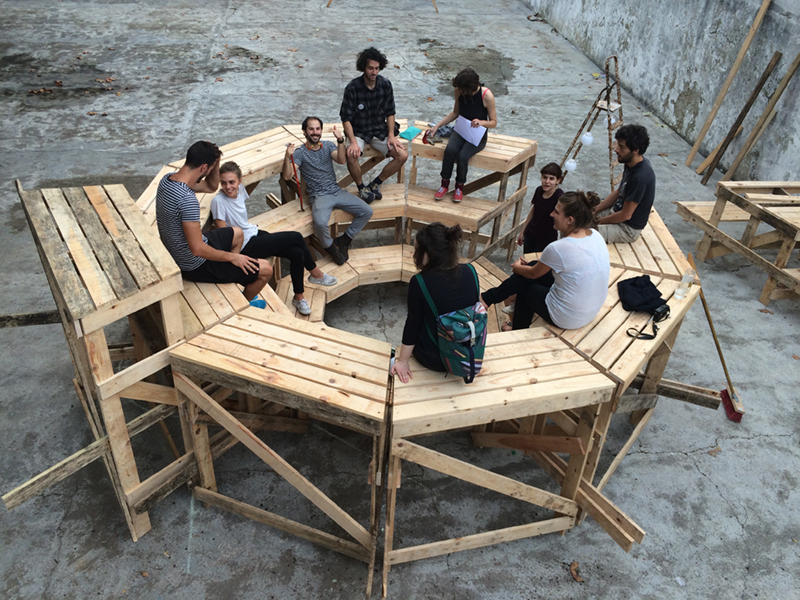 What if a multidisciplinary incubator sets up in an unique location on the periphery deeply affected by the crisis? 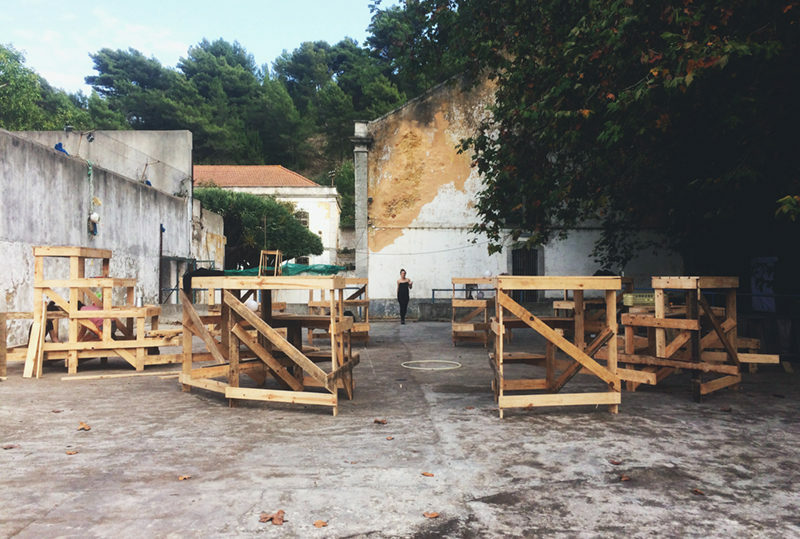 Believing that citizens need non-institutional spaces to cultivate new models of thinking for alternative solutions, we propose to convert Trafaria’s old prison into a temporary laboratory. 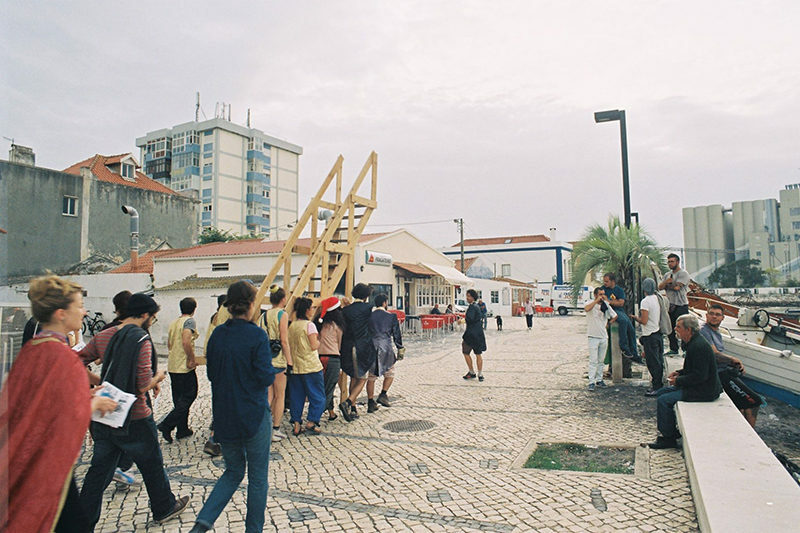 In 2016, Eda collaboratess with Hallo Festspiele (Hamburg) to bring the Presidio da Trafaria to life and to research and develop possible futures for this place. 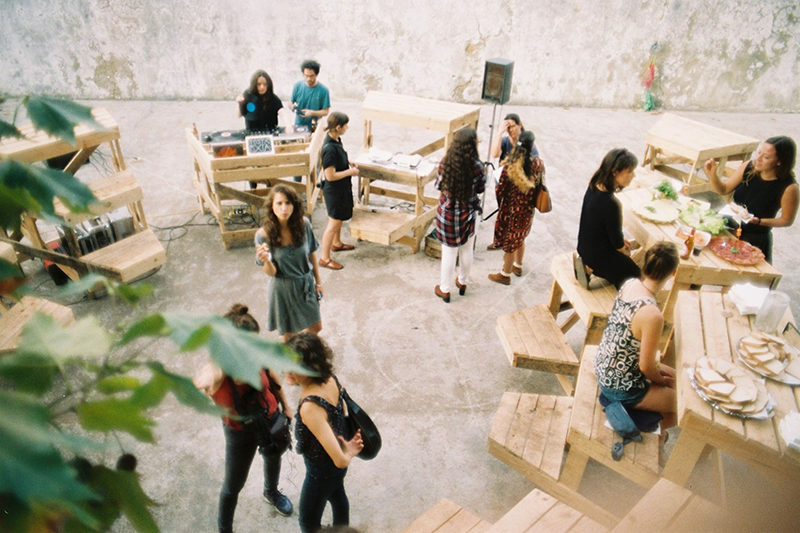 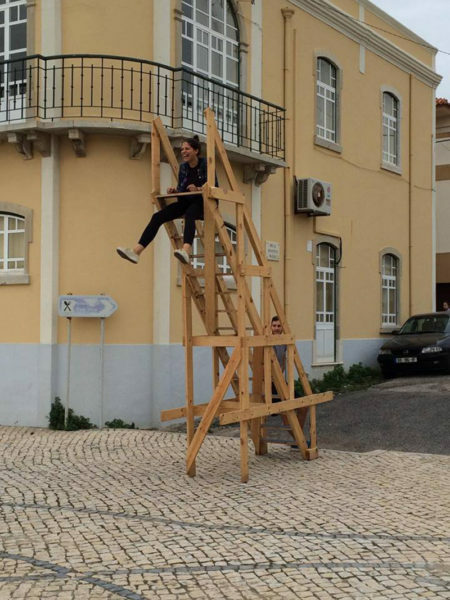 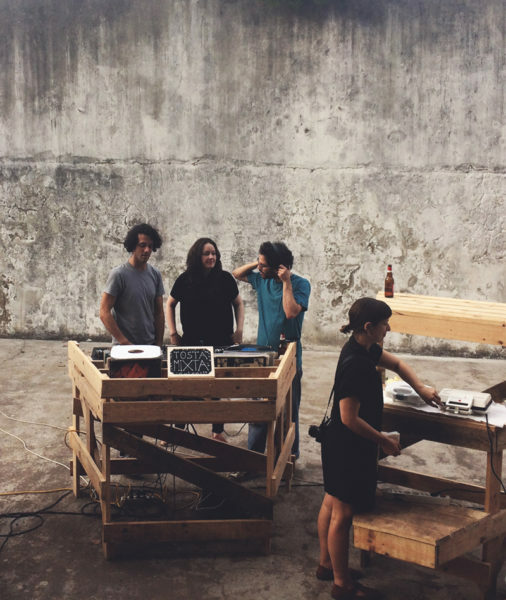 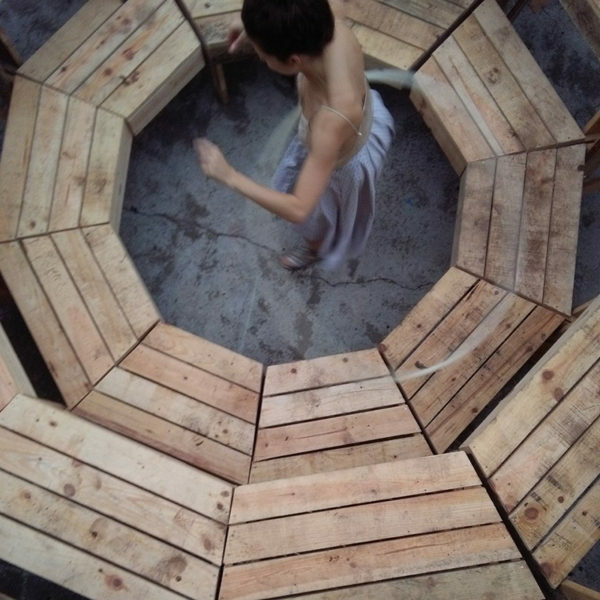 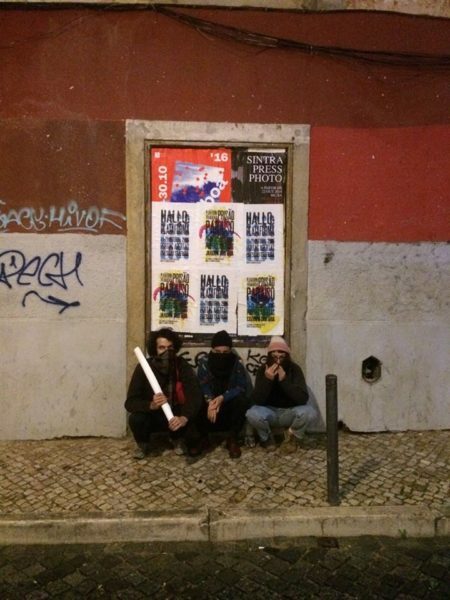 Born from the Casa do Vapor project (Cova do Vapor 2013), EDA promotes collective projects focused on culture as an activation tool for urban revitalization. 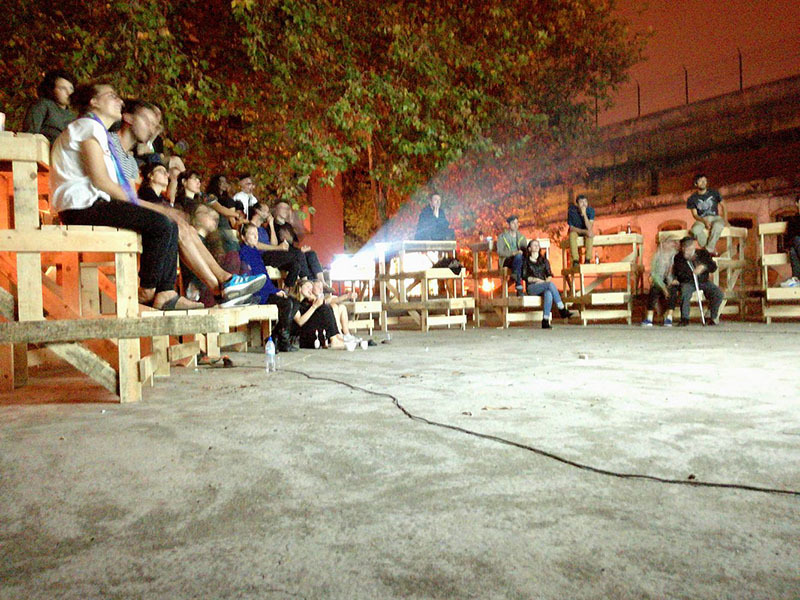 It crosses a multidisciplinary international network of collaborators with specific local contexts and its communities. 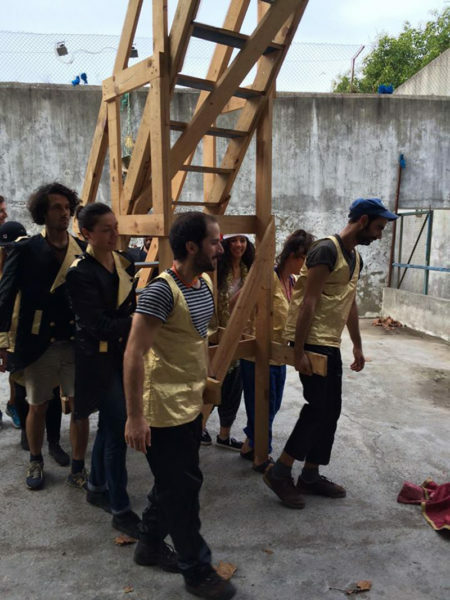 Hallo Festspiele is an artistic, auto poetic space developing format that uses a transdisciplinary festival to combine playful research with innovative forms of communication and hands on laboratories. 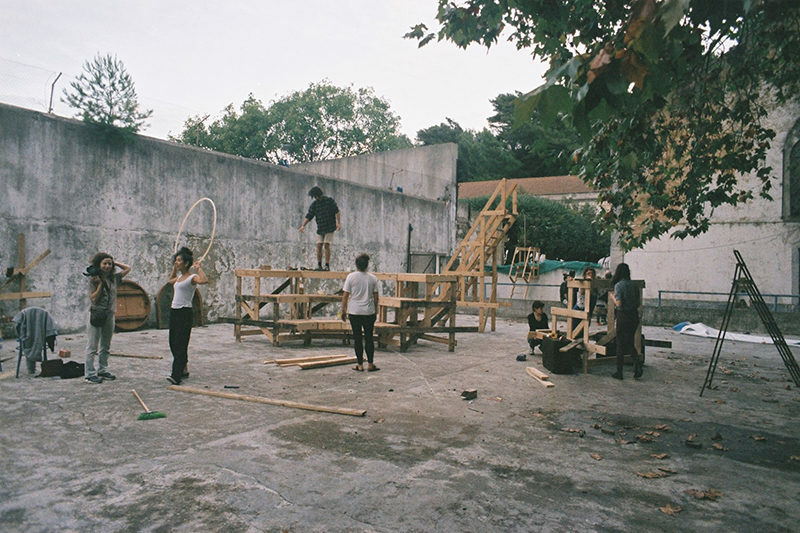 It wants to establish a space opening culture in physically or socially closed places by means of architecture, performance, play, discourse and music – with the collaboration of neighbours and artists. 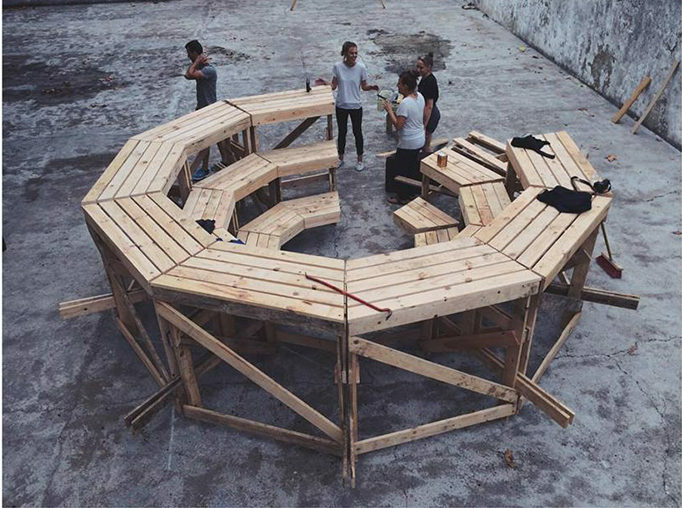 Merging their approaches, EDA and Hallo launched Hallo Plataforma, the official public kick-off of Plataforma Trafaria. 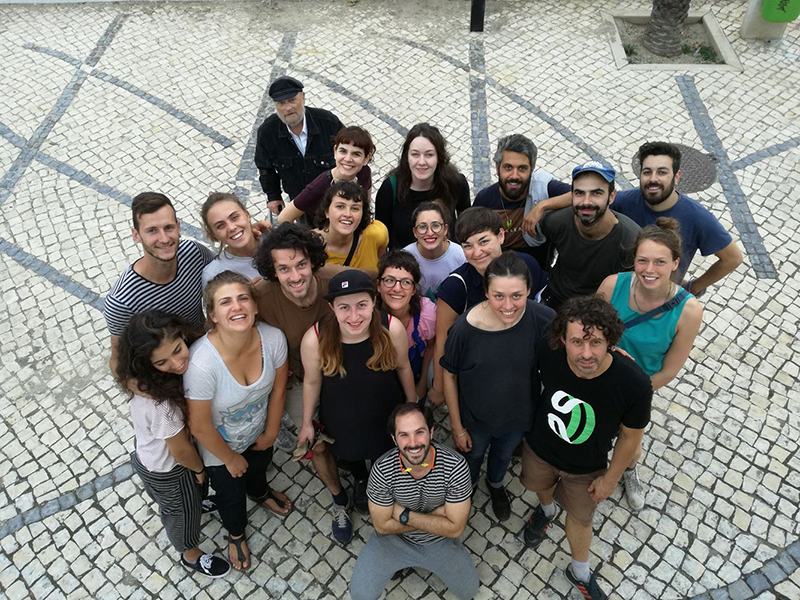 Starting in June, a team with a wide range of skills, knowledge and backgrounds, composed of international guests, local actors and inhabitants, installed itself in a part of the Presidio complex. 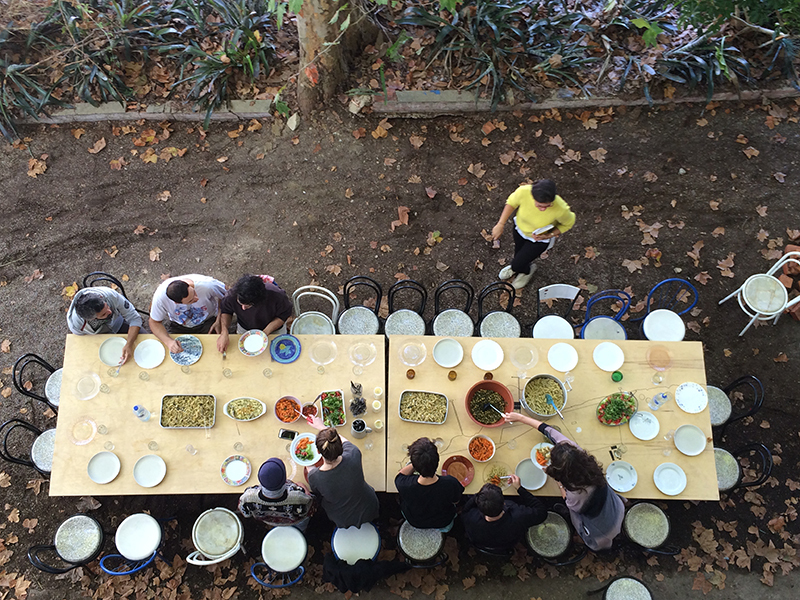 During these two weeks it prototyped possible functions of Presidio: the kitchen was reactivated, a wood workshop opened, freshly baked daily, several artistic projects that took place in and out of the prisons walls were initiated, and inhabitants and local associations shared amazing stories and insights about the region and the place. 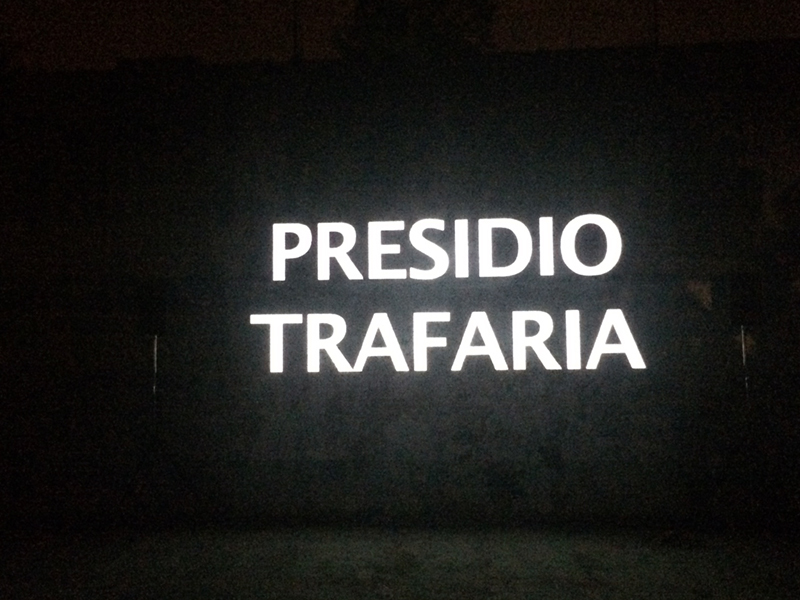 Many are interested in joining to think about the future of the Presidio.